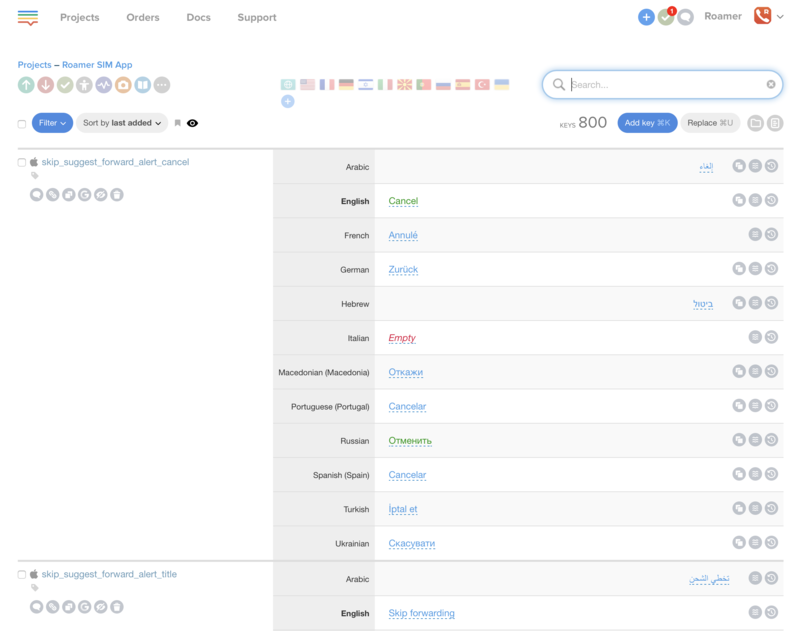 Snappy and clean yet powerful online translation editor. 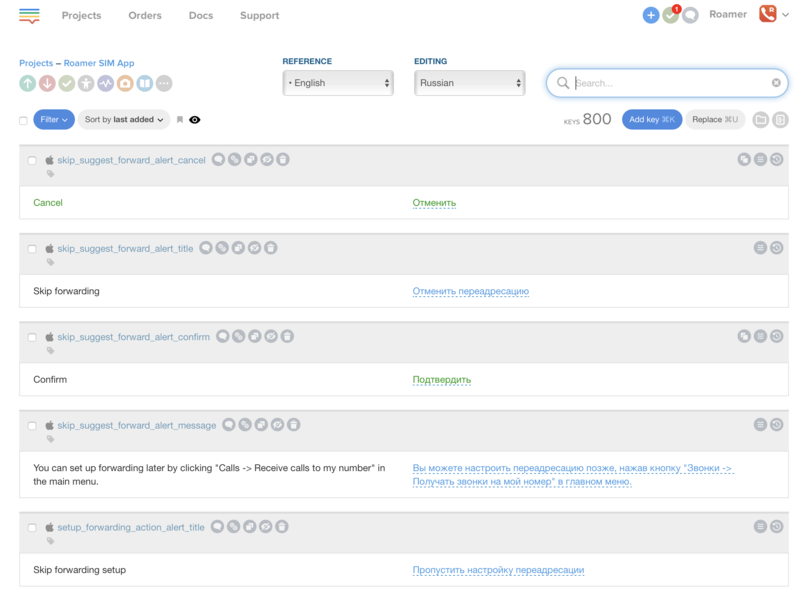 Snappy and clean online translation editor. 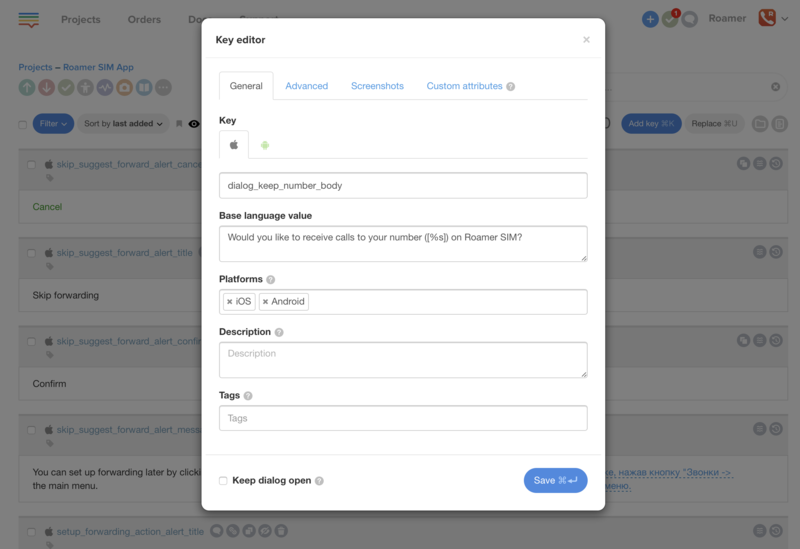 This view is very useful to team leaders and contributors working with multiple languages simultaneously, as it offers a unique opportunity to preview and edit all language translations at once. 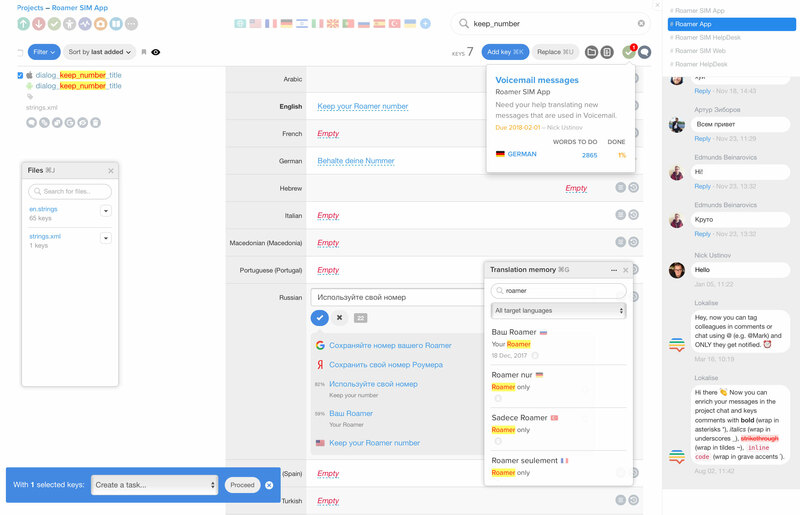 This view gives maximum space and lets you focus when working with a single language translations. Choose reference language and contribution language in the top bar. Lokalise supports modification of keys. To change key name or properties, simply click the key name in editor. Please note, this option is only availble to project owners and can be globally turned off in project settings. There is a checkbox on the left side of each key. You can select multiple keys and perform a mass action with the selection. The blue floating bar with available mass actions pops up once you select at least one key. Use magic scroll on the right side to quickly navigate through keys. You may hover the mouse over the scroll bar to see which key it would navigate to. Use Remember position in project button to automatically save your position as you leave the editor, so it returns you to the same position after page reload.